The Woman's Club of Berkeley Heights is an organization of volunteers working on projects and programs designed to encourage interest in liberal education, in local, national and world affairs, and in the betterment of our community. Our members volunteer their time and talents to help enhance the lives of others. We begin our general meetings with social time and refreshments, followed by our business meeting and a program. The programs presented during these meetings include, authors, musical artists, speakers on health issues, the history of our community and state, and others. 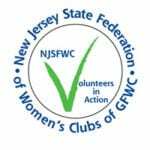 Support is given to the NJSFWC Special State Project which currently is Court Appointed Special Advocates for Children, CASA of NJ. We also support the GFWC Signature Project, Domestic Violence. New members and their ideas are always welcome. This is the 5th year our Club is supporting the YWCA "Project Protect" Program of Union County. Cell phones, toiletry items (both large and small) and these much needed supplies - toilet paper, tissues, toilet bowl cleaner, toilet bowl brushes, dish detergent, sponges, scouring powder, brooms, mops, ammonia, clorox, and laundry detergent - are being collected at the Berkeley Heights Public Library. Club members will also be donating handmade afghans, quilted lap blankets, and Hug-A-Bears. We support collection of duffle bags for the children. Cash donations will be used to purchase gift cards to Walmart, Target, grocery stores, and gas stations as requested for the children helped by CASA NJ.